The SCX Website has moved! This blog will remain here, but will no longer be updated. 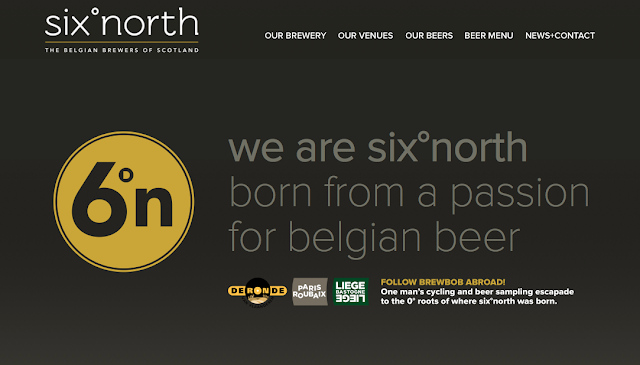 DTCC are pleased to announce that sixºnorth , the Belgian Brewers of Scotland, are the headline sponsors for Alford CX 2015. The Stonehaven-based company, who operate bars in Aberdeen and Stonehaven as well as their brewery, have close links to the cycling world in NE Scotland. The brewery name comes from the location of Stonehaven, six degrees north of Brussels. The love of Belgium runs deep, both in brewing and in cycling, and makes the company a great fit as a CX sponsor. Last April, head brewer Bob Lindsay took off on a tour of 13 of Belgium’s finest breweries taking part in the Paris Roubaix sportive and the Liege-Bastogne-Liege 100. Chopper Stout and their Tripel), the sixºnorth bars feature a variety of guest beers, guest brewery collaborations and music events, so if you’re up in Aberdeen for the race (or Stonehaven for the finish of Ride the North this weekend), why not nip in. The sponsorship deal with DTCC will see sixºnorth provide podium prizes for the debut CX race at Alford’s Grampian Transport Museum in October. 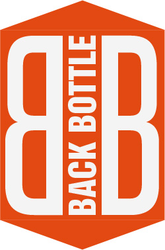 Look out for their merchandise stand at the event, and please support them and the guys at sixºnorth by picking up some of their fine wares. 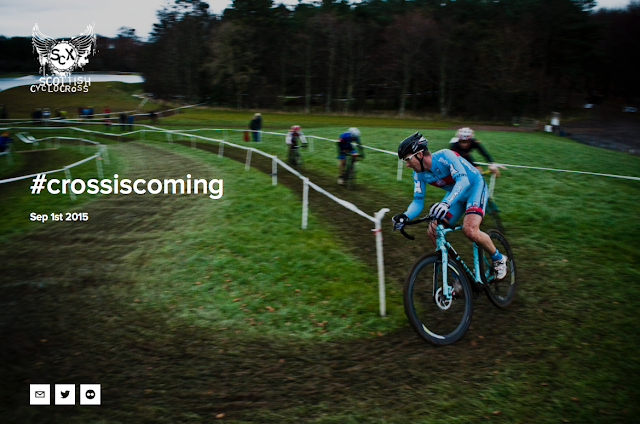 Entry for Alford CX 2015 is available here. 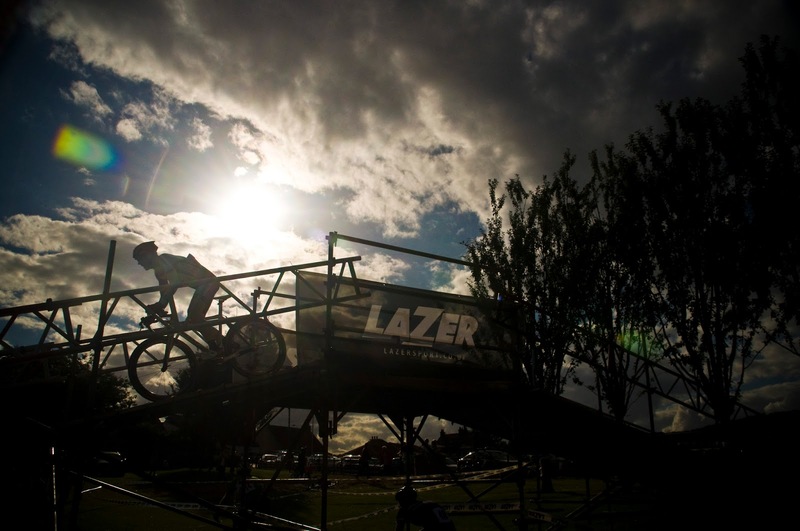 The Scottish Cyclocross Association would like to thank Lazer Helmets and Ridley bikes for their sponsorship over the last two years. The infrastructure and prizes they have donated has helped our series become one of the busiest in Britain, with numbers over 400 the norm now. The professional look and feel of the events has been helped by the Lazer Helmets tape which has been used to great effect to mark out the courses which all the riders have appreciated, and the recipients of the bikes and helmets are most grateful. Thanks again Lazer Helmets and Ridley Bikes, it has been a great pleasure watching the sport grow under your sponsorship and a delight working with you. 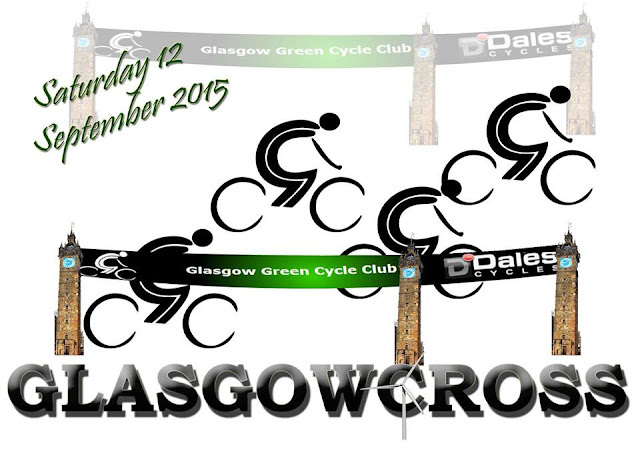 James Murray, organiser of Glasgow Cross, has announced today that the race has been postponed. He is now on the lookout for a suitable replacement venue. If you know of any potential, non-Council owned alternative venues in Glasgow, please get in touch with James through the SCX site. 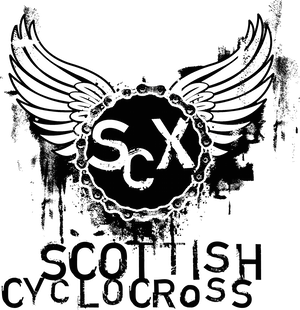 From September 1st, Scottish Cyclocross will have a brand new website. The site will host race previews and reports, interviews with folk from the Scottish scene, Series and Non Series Race Calendars and the SCX shop. The new digital Service Course/Materialpost is at http://www.scottishcx.org.uk and the September 1st launch will see, amongst other things, entry links for all the SCX Series Races and the announcement of a big new sponsor for SCX. Currently there is a landing page featuring a photograph of David Lines at Foxlake by Anthony Robson. Jim Cameron and I will be adding stuff gradually over the coming months, but one thing you'll notice is that the new site is a bit more user friendly (especially on mobile platforms). The design relies heavily on the fantastic photography of Anthony Robson, Lauri Peil and Martin Young so a big thank you to them for kindly allowing SCX the use of their photographs. We also hope to feature race reports from Eric Easton, and hope that folk will continue to contribute reports, race announcements and photo galleries. Social links on the site point to the Scottish CX email address, Twitter (@scottishcx) and the SCX Flickr Group. There is a contact form on the site as well, so any Q's regarding SCX can now be sent a bit more easily. At present the current Blogger site will remain where it is. All the information has been ported to the new site, but formatting is a bit askew in places. We will review whether to retain the Blogger site or move wholescale to the new site in a month or two once any kinks have ironed out. For now, we will post to both sites until September 1st, and then all new posts will be on the new site only. Rossendale RC) third. The second heat was easily won by Hugo Robinson of (Neon-Velo), with James Fraser-Moodie (Pedal Power) following him in second on the mountain bike and Paul Carmichael (The Bicycleworks) third. As the marquee sprang into life with one of the local Aberdour indie bands giving it laldy, the B Final started. John McComisky (SR Albanach) stormed into an early inspiring lead and the race was on. He stayed there for a lap until he blew and settled into the middle of the bunch. Adam Wallace raced impressively to take the B final win from Ron Mill (Leslie Bikes) and Dave Smeaton. Katie Carmichael (Hervelo) took a lot of (mostly thinning tbh) male scalps with a cracking fifth place. Portage Cycling in partnership with Active Fife are pleased to announce Beveridge Park in Kirkcaldy as the venue of the Open Cyclocross race (130 grid slots) for a 1pm start. The race will take in the parkland meadow and tarmac road section of the setting. The course will have some sweet downhill twisty sections, punchy uphill and tricky adverse camber areas for your riding pleasure, as well as that all important portage . Entries will go live here on the day after Haughcross entries close. This race would not be happening without the huge support of Fife Council and the parks department, as well as incredible help from Kirsteen Torrance, who has liaised with all the appropriate departments. For further updates you can check out Portage Cycling and the Facebook page here. It's going to be a busy season this year, the Scottish scene is shaping up nicely with a good balance to the events and venues. However, for those left shell shocked by the loss of our 30 year old classic SCX course at Auchentoshan we have a counter attack waiting in the wings. With air-raid sirens blaring, and the words of Lance Corporal Jones shouting "Don't panic, don't panic!" we're back to save you from an unthinkable FIRST EVER Glasgow United CC-less cross season. Get it in the big ring now and brace yourself 'cos on Sunday 4th October there's gonna be a Battle! We can scarcely believe we're allowed to give you quite possibly Scotland's most beautiful CX course. From the high points around the lap the views are stunning, great for spectators, less so for riders because it's also going to be one of the fastest in the country so you won't have time to look! It's a brand new modern style course on the banks of Loch Lomond at Balloch Castle Country Park. Thanks to the mixture of fast sandy, fast gravel and fast geo-block (plastic reinforced) grass paths this is definitely a 46 tooth, bunch racing spectacle. This is a TLi event, format will be an A and B race both open to all categories over the age of 16. When entering, the rule of thumb is Top 20ish SCX'ers charge straight on for the A Race. Prizes in the A race will be awarded as per age categories.The B race isn't just for new recruits, we'll also accept any experienced soldiers who are not so keen to go over the top. Prizes in this event will be first 3 places + some spot prizes. Both races will be limited to 100 riders for safety. A great chance for any of you crossers who want to catch some proper coaching before the season kicks in and experience the Spanish countryside with no boundaries. Cyclocross in Northern Europe is typically associated with the cold, dark muddy winter months, but the training camp and location are going to be somewhat removed from all the typical cross weather. Cyclocross training camps in Spain are the perfect opportunity to experience a whole new perspective on this side of cycle sport, learning from Costa’s resident professional Cyclocross rider and Coach Rab Wardell. 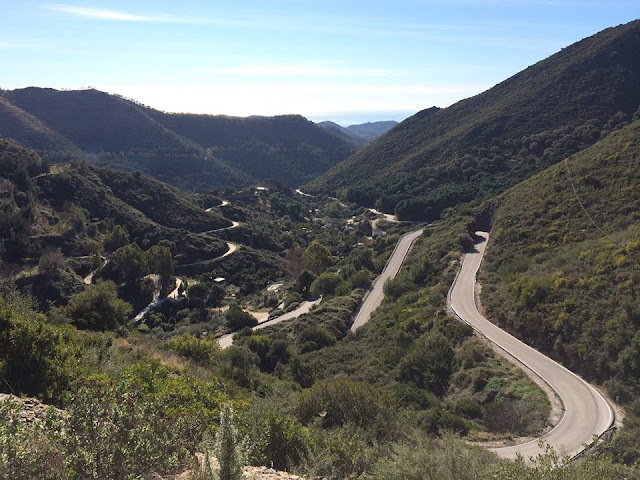 Experience an alternative side of Spain, exploring the countryside whilst learning valuable skills applicable to all types of riders. 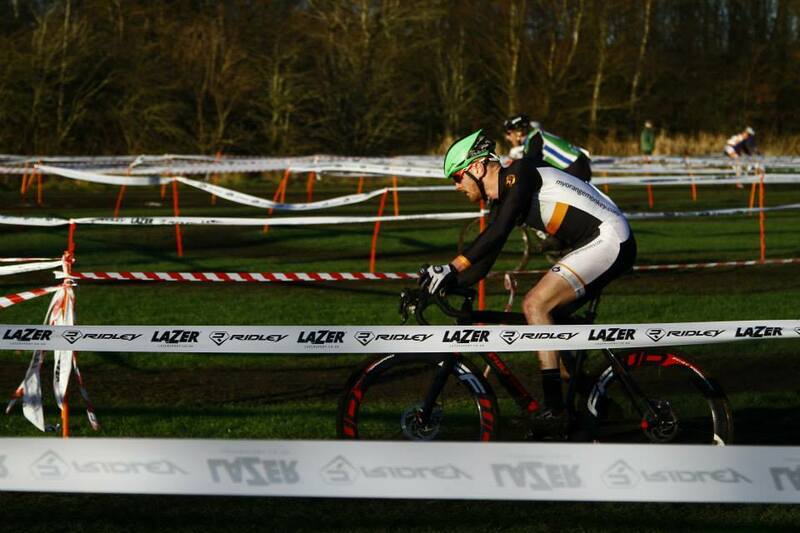 Haugh+Cross Festival of Cyclocross Attracts Champions. Images: Neon Velo (James McCallum & Hugo Robinson). In previous years the event has attracted European and multiple British Champion Helen Wyman,a host of Scottish Champions and riders from far afield as Denmark to race at the scenic seaside venue. 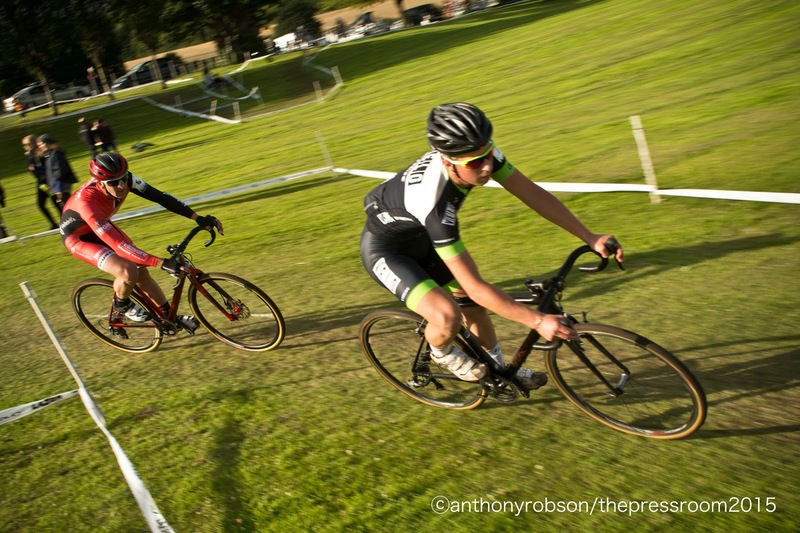 This year will be no different with top billing going to seasoned Cyclocross professional Hugo Robinson, who has raced at World Championship level and is many times over British Cyclocross Champ. Robinson who now divides his time racing for the Neon Velo team in road and cross in 2015 is delighted to take on the cream of Scotland’s Cyclocross racers, will also run a Cyclocross Clinic the evening before the main two race event. Summer-cross is not a new concept, it has been kicked around the UK and US for years, but in Scotland it took a proper hold with the first few running's of the Haugh+Cross event which had tagged onto the popular Aberdour Festival. The coastal course nestles tightly in parkland adjacent to to the Silver Sands beach and holiday area, and offers riders of all abilities the chance to dip a toe before the Scottish Cyclocross Series proper rolls into action in Autumn. With a full day of racing from 12pm till 8pm, and the added attractions of free demo rides on the latest Genesis Road bikes, trade stalls and all that is good in terms of locally sourced food and ales which will be available from the Festival Marquee. “Join us for a day of highly charged cyclocross racing and much more. Experience the cheer of the crowd, and the ringing of cowbells. Spectators can enjoy racing of all abilities, from the best the UK has to offer to absolute beginners. Following the cyclocross a family ceilidh will take place in the Festival Marquee, just the thing to finish a great sporting event in the Kingdom of Fife”. Competitors who are even thinking of making a weekend of it even have the option of arriving Friday after booking a place at the Cyclocross Clinic and spending a full evening under the wing of Scottish National Cyclocross Champion Rab Wardell (Dirt School) and the aforementioned Hugo Robinson . Cyclocross is one of those disciplines where technique can really make a difference, even against riders, fitter and stronger than you are. Simple things like tyre pressure, and what gear to be using can all be ironed out by your cross coaches on the evening, and unlike most tutorials, the lads here will be welcoming answering any questions and offering all sorts of tips and tricks from the pro riders kit bag. The event would not be possible without the following event sponsors and partners: Ronde Bicycle Outfitters, META, Shimano, LAZER, Genesis, Ridley and Mule Bar. · 7.00 pm Podium presentation.